This article was originally prepared by Noel for the Australian Fellowship of Evangelical Students. It was published in the Theology Review vol. 8, 1972 and is reprinted by permission. The articles have been specially modified for use in Ex Nihilo. In considering the interpretation of the early chapters of Genesis it is important that our own historical situation be clearly in view. We are not the first Christians to be troubled by the teaching of Genesis. Simply because the Bible has a different view of origins to those put forth in human philosophy there is a period of conflict whenever the church comes under the influence of a human philosophical system. Thus any defender of the beliefs of Plato in Augustine’s day or of Aristotle in the late Middle Ages found himself in trouble with Genesis. It is a gross oversimplification to act as though we alone face a problem here. Nevertheless the problem for most Christians today is generated by a specific challenge, namely that of biological evolution and related theories. I believe that there are deeper problems than merely the problem of Genesis. If we take the theory of evolution as established and modify our interpretation of Genesis accordingly, then we introduce a problem for the doctrine of Scripture. It is nonsense to speak of the unique and total authority of Scripture at the same time as we change our interpretation of Scripture to accord with theories drawn from outside Scripture. Hence evangelicals have tended to seek for principles within Scripture itself which will allow them to interpret Genesis in a way that is compatible with evolution. If Scripture itself forces us to such an interpretation then we are not subjecting Scripture to evolutionary theory. It is with these attempts to find such principles within Scripture that this paper is mainly concerned. However, there is need to establish first that the basic problem can really be reduced to methods of interpretation. Particularly this must be demonstrated when there has been a tendency2 to solve the problem by regarding the Biblical and the evolutionary descriptions as complementary rather than conflicting. This may be expressed in many different ways but the basic idea is a distinction between religious, theological and/or naive explanations as distinct from scientific, technical ones. It is argued that there is no conflict because the two approaches are in separate spheres or on separate levels. It must be emphasized that this in itself does not solve the basic problem. It merely shifts the point to be proven. If we interpret Genesis in terms of this religious/scientific distinction we may be just as guilty of imposing an alien authority upon the Scriptures. We must first establish that such a distinction is warranted by Scripture. The distinction itself looks suspiciously like Kant’ distinction between the realm of ideas (noumena) and the realm of sensory experience (phenomena). It makes little difference in principle if the foreign authority is that of Kant rather than Darwin. In saying that the distinction must be demanded by Scripture itself before it can validly be employed one misconception must be avoided. If someone approaches the Scripture already accustomed to seeing things in terms of the Kant’ categories, then the basic question has already been decided. 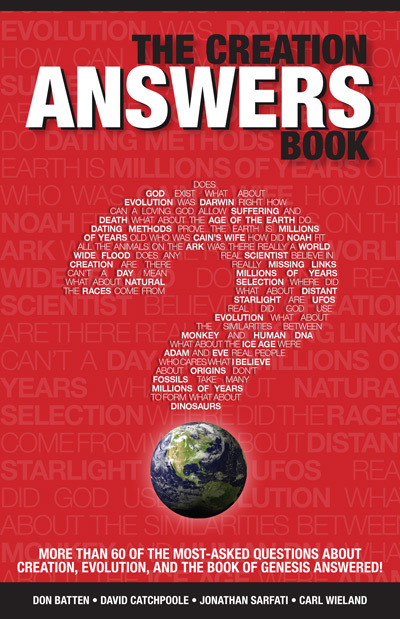 Is Scripture a book of religious truths or a textbook of geology? We naturally tend to say it is the former. Yet this question may pose a false dilemma. There is always the possibility that it is a book of religious truths which lays down basic principles which are relevant, even mandatory, for geology. If the question is posed so as to exclude this last alternative, and Kantian philosophy so poses the question, then the basic problem has been solved not by appeal to the explicit teachings of Scripture but by a philosophical presupposition drawn from outside the Scriptures. A second way in which an attempt is made to solve the problem, without having to resort to the difficult task of establishing internal guidelines for the interpretation of Genesis, is by appeal to general revelation. It is claimed that since the creation is itself revelatory of God we do not impose an outside authority when we interpret Scripture in terms of science. However, once again, the basic problem is not solved but merely camouflaged. Is our concept and use of general revelation a valid one or is ‘general revelation’ merely a label which allows us to ignore or destroy Biblical teaching? The question can only be decided by establishing a correct view of general revelation on the basis of Scripture. One may say categorically that a Biblical view of general revelation gives no support to the common use of science to determine our interpretation of Genesis. First there is no indication in the Bible that general revelation tells us about the means God used in creating the earth and life upon it. The passages which theologians appeal to in establishing a doctrine of general revelation, such as Psalm 19; Romans 1, etc., tell us that creation reveals the nature of God. We may argue that the creation reveals the glory and power of its creator. We have no basis for saying that it ‘reveals’ scientific theories. Secondly Romans 1 is adamant that sinful man suppresses and distorts the revelation of the creation. Any view of the creation that commands a consensus among non-Christians must be suspect. The appeal to certain scientific theories as though they are to be treated as revelation is completely invalidated by the Biblical teaching on general revelation. Another of the attempts to solve the problem is that which claims that God expressed himself in the thought-forms of the day.5 It would therefore be wrong to attempt to make these categories authoritative for our scientifically sophisticated age. The same reservation is valid here as previously. This assertion about the way in which God revealed the history of creation must itself be justified by Scripture. To return to the main point, the argument being considered has a number of serious weaknesses. In order to apply it consistently one must first make some sort of a distinction between the cosmology implied in the terms used and the theological truth conveyed by the use of those terms. That is to say, unless one wants to remove the whole of Genesis 1:11 from the Bible, one argues that theological truths can be separated from the views of the physical universe implied. Such a distinction is just a variant on the Kantian noumena/phenomena distinction discussed above. It would greatly help the discussion if this supposed use of concepts common to the era was more carefully specified and defined. One would like more than the bare assertion that the Bible employed the common concepts of the day. For the argument to be valid this would have to be carefully established. Once again this lies outside the main subject of the paper but a few remarks are necessary. One must first reckon with the fact that certain ideas or stories may be shared by the Bible and surrounding cultures because they are both based on a historical event. For example it would be rather ridiculous to argue that God chose to convey certain theological truths in terms of the flood concepts already possessed by the Mesopotamians. Obviously both Bible and Sumerian traditions mention a flood because there was a flood. These last two examples raise another set of problems. When it is said that God employed symbols common in that day is it meant that both the symbol and what is symbolized were already known or that only the symbol was known with a completely different connotation? The distinction is an important one. For this argument to be convincing the former must be the case. Otherwise one is saying that God gave the symbol a completely new meaning. And if he did that we are no longer dealing with symbols common at the time, but with new symbols. Then the necessity of interpreting them against the Near Eastern cultural background is removed. Whether there is any ultimate relationship11 between Biblical and Babylonian accounts as we now have them they belong to different ideological worlds. The symbols are not the same because the ideology is different. The goddess Tiamat defeated in a war by the god Marduk, if she may be called a ‘symbol’, must be seen as a symbol within the context of Babylonian polytheism whereas the creation of heaven and earth belongs within the context of Biblical thought. It is meaningless to say that God used the same symbol but changed its meaning. It is then no longer the same symbol. Sometimes it seems that those who claim that the Bible used the symbols of its day are merely trying to say that it used a naive as opposed to a scientific cosmology, or, to put it more popularly, it did not bother to correct the prevalent three-story cosmology. If we assume for the sake of the argument that this is the case, then it should be clearly recognized that all we have established is that scientific dogma should not be made out of Biblical cosmology. The argument has no relevance to other parts of the account like the creation of animals, man, etc. Unfortunately this argument is generally used without this careful delimitation. Generally it is argued that the fact that one element shows the use of nonscientific concepts proves that the whole uses naive ideas whose details may not be pressed. Yet once more the validity of the basic premise must be questioned. Was there ever a pure ‘three-story universe’ idea in antiquity? For the pagan contemporaries of the Bible writers, cosmology was theology. The heavens expressed and were controlled by the various divinities. The sort of abstract spacial/mechanical interest involved in the idea of a three-story universe is a product of the demythologization of Greek rationalism and Euclidian spacial concepts. One should not try to project a late idea back into Biblical times in order to explain the Bible. In its rejection of polytheism Biblical cosmology is of necessity radically different to its surroundings. It is not popular cosmology. Secondly, what is so wrong about a ‘naive cosmology’? It is probably as close to the ultimate truth as modern cosmology. If we had not defied modern science we would not be embarrassed by those points in which Biblical thinking diverges from prevailing modern ideas. Certainly Biblical cosmology fits into a different structure of thought from modern cosmology, but it is the validity of that very structure of thought that is at issue. We tend to assume that the assumptions underlying modern physics are unquestionable. If we assume the validity of the structure of physics from any period with its philosophical presuppositions and concomitants13 we run the risk of accepting a structure which, because of its ultimate origin in a total humanistic philosophy, must clash with a Biblical worldview. What has generally happened is that the structure and method of modern science has been accepted as truth. When the conflict between this and a Biblical view has been appreciated, an attempt has been made to give the Biblical view a validity in some sort of restricted religious sphere. The basic question is whether our interpretation of the Bible is to be determined by the Bible itself or by some other authority. Once science has been set up as an autonomous authority it inevitably tends to determine the way in which we interpret the Bible. From the point of view of this discussion the outside authority may be Newton or Hoyle just as well as Darwin or Kant. The issue involved is still the same. Somewhere in this sort of discussion poor Galileo is always dragged in. Yet, if we want to learn from history we should at least begin with good history. There is nothing particularly Christian about Aristotelian cosmology. In fact there are points at which it cannot be reconciled with the Bible. How did the church find itself in the position of defending Aristotelian cosmology against the new Copernican cosmology? It found itself in that position because it accepted the argument of Aquinas that the Biblical texts which contradicted Aristotle should not be pressed as the Bible was not written in technical philosophical language. Moses spoke the language of his day. This is not to say that the church should have accepted readily the new astronomy. In its neo-Pythagorean mysticism14 it was no more Biblical than Aristotle was. Those who want to say that the Bible is written in the popular language of its day and should not be pressed where it differs from modern philosophical-scientific structures cannot claim to have learnt from the Galileo affair. They are merely repeating the arguments that helped to put the church in that situation. For the classic statement of the viewpoint that underlies this paper see Warfield, B.B., The Inspiration and Authority of the Bible (Philadelphia: Presbyterian and Reformed Publishing Co., 1964). Return to text. E.g. Jeeves, M.A., ‘Towards the Recovery of Harmony Between Science and Christian Faith’, Theolog Review 3(2):15-23, McKay, D.M. (Ed. ), Christianity in a Mechanistic Universe (IVP, 1965). Return to text. Lest this strike the reader as fundamentalist rhetoric I would draw attention to the very important symposium, Mathematical Challenges to the Neo-Darwinian Interpretation of Evolution, (Eds.) Moorhead, P.S., and Kaplan, M.M. (Philadelphia: Wistar Institute Press, 1967). On page 79 C.H.Waddington answers M.P. Schutzenberger’s argument that evolution according to Neo-Darwinian principles is statistically impossible by arguing that it must be possible because the only alternative would be special creation. Return to text. As well as the symposium referred to in the preceding note see Kerkut, G.A., Implications of Evolution (Oxford: Pergamon Press, 1960). Return to text. E.g. 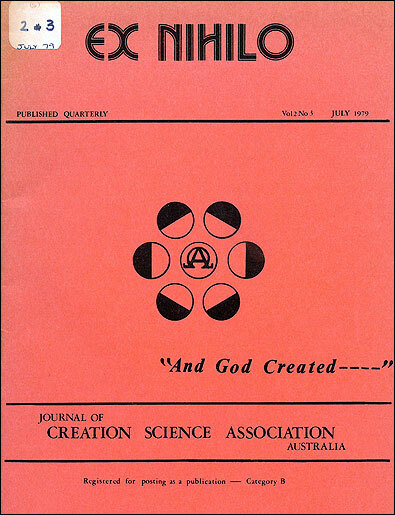 Thompson, J.A., ‘Genesis 1-3, Science? History? Theology?’ Theolog Review 3(3):16. Return to text. This is far from being a new situation. Many techniques of literary and form criticism were used first in the Old Testament field and later created much greater opposition when consistently applied in the New Testament. Gunkel himself was moved to the Old Testament field from New Testament when it was realized that his methodology could be applied there and incur less opposition. Return to text. To use a trivial example, Philadelphia University Museum used to caption the well-known offering-stand from Early-Dynastic Ur which shows a billy-goat standing with its forelegs on the branches of a tree. (Frankfort, H., The Art and Architecture of the Ancient Orient [Harmondsworth: Pelican, 1954] p. 31 and pl. 28) as the ‘ram caught in a thicket’. Saner minds seem to have prevailed and this caption has been removed. Return to text. Similarly the tendency of research is often to emphasize the discontinuity rather than the relatedness of animal groups (Kerkut, op. cit., p. 149). Return to text. See Pritchard, J.B., (Ed. ), Ancient Near Eastern Texts (Princeton: Princeton University Press, 1955), p. 67 for translation of this text. Return to text. For discussion see Frankfort, H., Cylinder Seals (London: Macmillan, 1939), pp. 205ff. He argues that on Assyrian seals it is a symbol of the god Assur. It is hard to see any connection between this symbol and the trees of Eden. Return to text. It is possible that the Mesopotamian parallels are the results of distortions of the original creation narrative to fit a polytheistic system. If that is the case they would then belong to the same category as the flood account. The argument that the Mesopotamian accounts must be the originals because our extant documents of the Mesopotamian versions are older than the extant Biblical texts (Speiser, E.A., Genesis [Garden City: Doubleday, 1964] p. 10) is utter nonsense. Return to text. It is significant that Speiser who is convinced that the Biblical story was derived from Mesopotamian prototypes (ibid., p. 1v) cannot find a better parallel than the ‘Civilization’ of Enkidu by a prostitute (ibid., pp. 26f. For translation of this supposed parallel see Pritchard. op. cit., p. 75). Return to text. For discussion of the philosophical presuppositions of physics, old and new, see Capek, M., The Philosophical Impact of Contemporary Physics (Princeton: Van Nostrand, 1961). Return to text. Kuhn, T.S., The Copernican Revolution (Cambridge: Harvard University Press, 1957). Return to text.